Students in the College of Arts & Science have access to excellent research equipment and facilities, both in the lab and in the field. Research labs house state-of-the-art equipment, and many shared facilities promote a spirit of collaboration. Undergraduate students often conduct research using labs and equipment that would be unavailable to them at larger universities. Some of the key facilities and centers are described below. This 13,000-ft2 facility includes specific pathogen-free transgenic animal suites, 2 surgical rooms and adjacent treatment and prep areas, conventional animal rooms, and a separate wing housing wild-caught species. The staff includes 5 full-time employees plus student labor. The Center for Bioinformatics and Functional Genomics (CBFG) supports a broad range of biotechnology applications. It is available for all members of the university and provides students with hands-on training so that they can conduct their own research. The Conservatory (Miami University, Hamilton campus) is a 7,000-ft2 multi-use facility, consisting of educational, research and public display spaces. It will house the largest fully documented academic collection of exotic plants in the area. The Ecology Research Center (ERC) is a 69-hectare field station containing a diversity of field sites and facilities that support both aquatic and terrestrial research. The ERC provides maintenance tools the staff provide assistance in the design and fabrication of research equipment. Miami's Natural Areas, within walking distance of the Oxford campus, consist of over 1000 acres and 15 miles of trails. Habitats available for research and teaching include old-growth and secondary forest, old fields, ponds and streams. Hueston Woods State Nature Preserve consists of over 800 hectares representing the beech-maple forest that once covered much of Ohio. Acton Lake is a 250-hectare reservoir situated in the heart of Hueston Woods State Park. Acton Lake is part of an Ohio-wide system of reservoirs that Miami ecologists are investigating to understand the effects of agricultural practices on the structure and functioning of reservoirs. The Karl E. Limper Geology Museum, located in Shideler Hall, is home to approximately 30 displays of quality geological specimens intended to help students and visitors better understand and appreciate basic geological concepts. The Limper Museum contains hundreds of specimens of the world-famous fossils of southwestern Ohio as well as minerals, rocks, fossils, and meteorites from all over the world. The Geospatial Analysis Center (GAC) in Shideler Hall provides a wide range of software, high capacity microcomputers, digitizers, databases, and output devices dedicated to acquisition and analysis of spatial information (GIS, satellite remote sensing). The GIS Laboratory has a full-time director, and instruction is available at several levels. 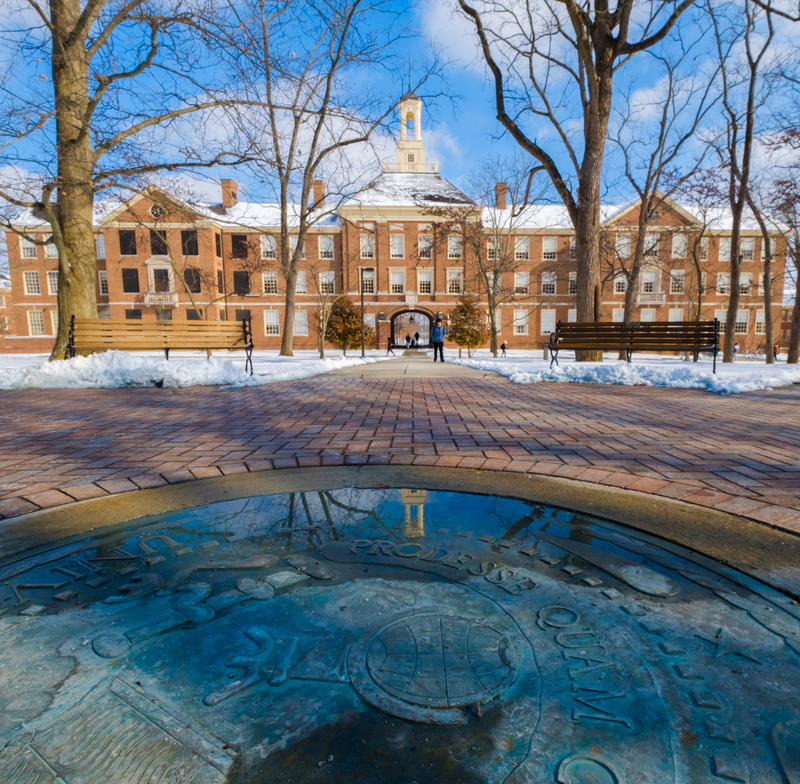 The Scripps Gerontology Center supports older adults, families & aging societies through research, education and service as a part of Miami University. It is an Ohio Center of Excellence. Miami University is the home of Ohio's largest herbarium, the Willard Sherman Turrell Herbarium. The herbarium's holdings of approximately 620,000 specimens are worldwide in both geographical and taxonomic coverage. Active exchange programs are ongoing with many herbaria worldwide to ensure the continued breadth and depth of the collection. The Humanities Center promotes civic engagement and debate about questions of public import within and beyond the humanities; cultivates crossdisciplinary research and inquiry among Miami University students and faculty, outside experts, and the public; supports Miami University's unique commitment to engaged undergraduate learning and research; assists in the recruitment and retention of outstanding faculty; and supports initiatives to lead humanities research and teaching into the future. The Ohio Advanced EPR Laboratory was established upon the arrival and installation of a state of the art Bruker® ELEXSYS E580 spectrometer. The facilities are meant to serve the advanced EPR needs of Greater Ohio area. The High Field Magnetic Resonance Laboratory was created with the purchase of the first Bruker® US2 850MHz nuclear magnetic resonance spectrometer in North America. The lab is an Ohio Center of Excellence for Structural Biology and Metabonomics. The NMR Facility has 3 NMR spectrometers (Bruker® DPX200, DPX300, AV500) available for use by all campus researchers. There is one AVIII600 and one 500M solid-state NMR instrument. The Center for Advanced Microscopy and Imaging (CAMI) is an all-university research, teaching, and service facility located in Upham Hall; it serves the microscopy needs of both the biological and materials communities. The Robert A. Hefner Museum of Natural History houses exhibits that offer intriguing collections, explanatory signage, striking photographs and graphics, and pertinent children's literature. Primary audiences are Miami University students, faculty and staff; preK-12 students, teachers and parents/guardians; and the general public. The Center for Public Management and Regional Affairs engages in applied public policy and management research, technical assistance services, training and education, and database development. Projects are initiated upon request from local governments or by center staff as an ongoing program for various local governments in the region and statewide. The Havighurst Center for Russian & Post-Soviet Studies is devoted to joint research by Miami faculty with other scholars from Russia, Eastern Europe and Eurasia, and from other American universities; to service and learning activities that provide a greater understanding of this region for the student community; and to programs designed to foster interdisciplinary research on the most important questions relating to the future of this area. A dedicated tissue culture facility consisting of several Forma Scientific® and NuAire® laminar flow tissue culture hoods, double-chamber Nuaire® water-jacketed CO2 incubators, a Hund/Wetzlar® Wilovert inverted microscope and freezers (-20 °C), refrigerators, water baths, bench-top centrifuges, and liquid N2 cell storage vessels.